The University of Montana’s MPA Program (Master of Public Administration, certificates, and undergraduate minor in nonprofit administration) is centrally located within the Max S. Baucus Institute to provide a cutting edge public service education. The University of Montana MPA program prepares pre-career and mid-career professionals for dynamic and impactful work in the public and nonprofit sectors by developing a core set of skills, scholarly knowledge, applied, and basic research. Asserting public service values is at the core of the University of Montana’s mission and thus, carried out by our curriculum. In all of our core classes, we emphasize the need for integrity, ethical conduct, serving the public interest, fairness, accountability, and transparency in public service. ASPAs ethical code is used in many of our classes given that it is the primary professional organization for those in the practice of public administration. 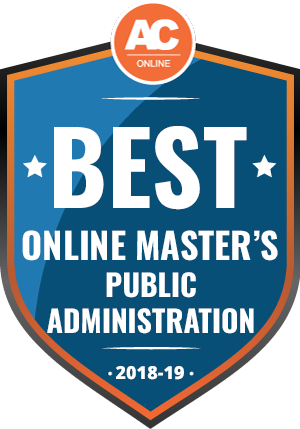 The MPA program maintains a membership with NASPAA (Network of Schools of Public Policy, Affairs, and Administration), which is the global standard in public service education. It is the membership organization of graduate education programs in public policy, public affairs, public administration, and public & nonprofit management. Its nearly 300 members - located across the U.S. and in 14 countries around the globe - award MPA, MPP, MPAff, and similar degrees.